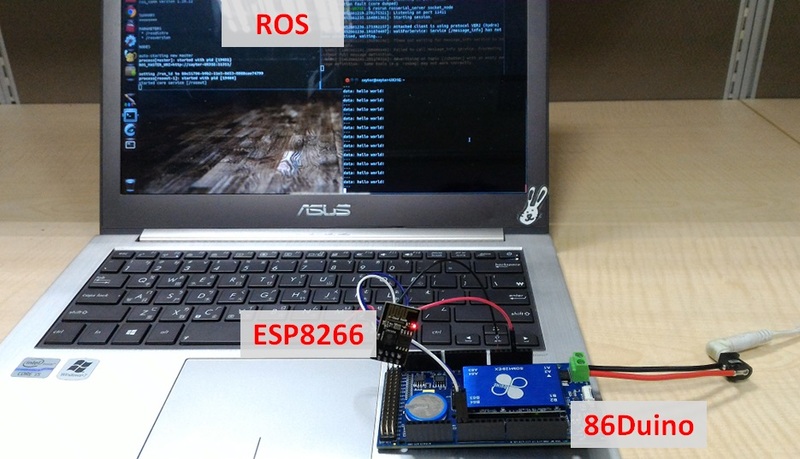 ROSserial86 combines the functions of rosserial_arduino and rosserial_embeddedlinux so that the 86Duino can send and receive ROS messages via USB Device interface, serial port, and network. 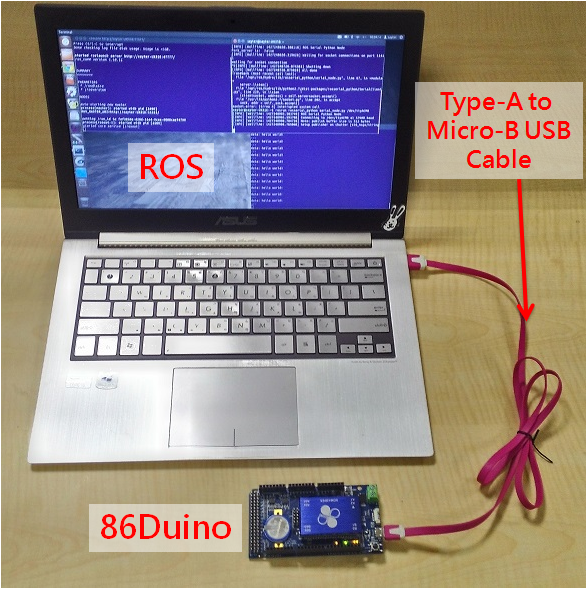 By using this library, the 86Duino can be seen as a complete and mature ROS node. It can be directly published, subscribe to ROS Topics, and can also provide or request ROS services, as well as release TF conversion and get the ROS system time. Because the ROSserial86 is compatible with rosserial, users can refer to the rosserial official wiki to learn how to use ROSserial86. In using ROSserial86 and rosserial, the only difference is that ROSserial86 allows the node to initialize the choice of different ways to connect; the following illustrates the steps to choosing how to connect to the ROS. 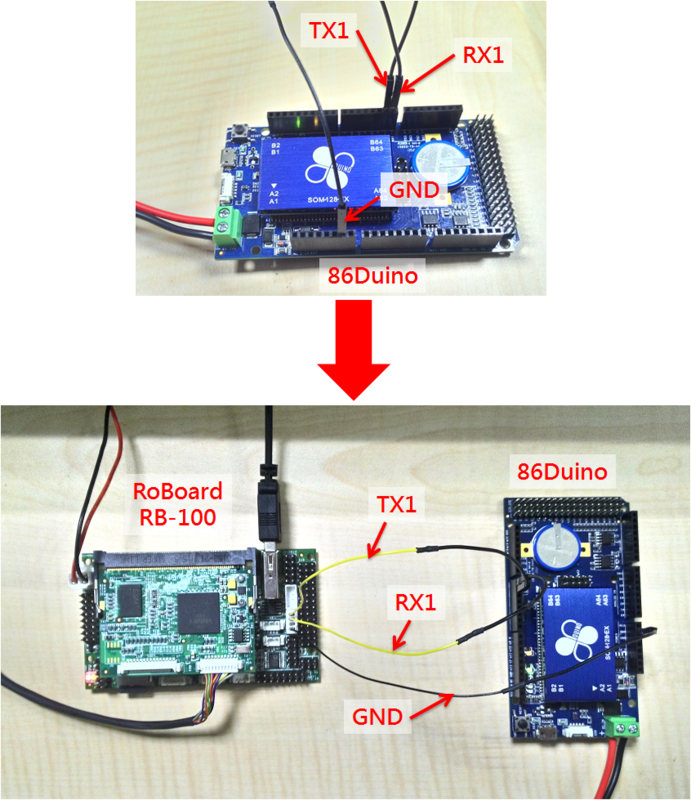 Hardware connection: In this example, we use the RoBoard RB-100, running a rosserial server (such as rosserial_python) as the ROS host, the 86Duino as client, and connected through Serial1 and RoBoard COM3 connection (86Duino TX Line connects to RoBoard RX line, 86Duino RX line connects to RoBoard TX line, ground docking). 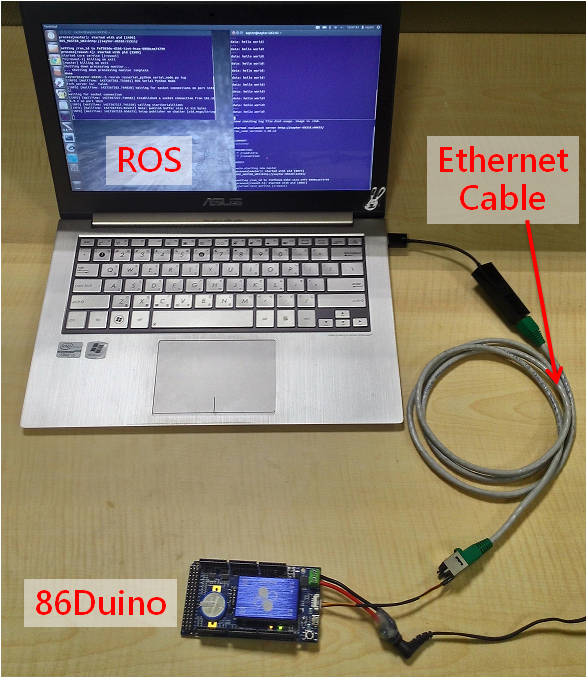 Hardware connection: Ethernet is directly connected to the 86Duino. // Set the SSID and password for the WiFi AP that you want to connect to. 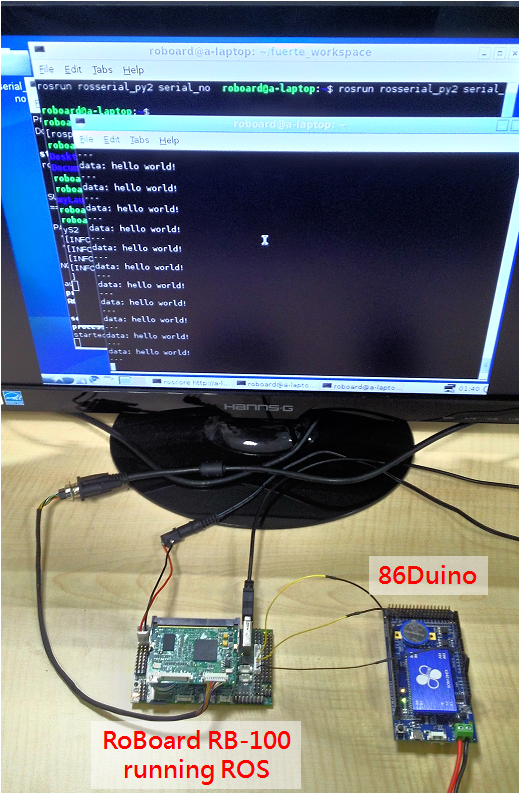 Hardware connection: In this example, we need to connect ESP8266 VCC and CH_PD to the 3.3V of the 86Duino. 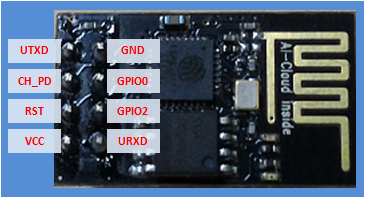 Then connect the ESP8266 to 86Duino Serial1 (UTXD connected to 86Duino RX1, URXD connected to TX1).